(Spoiler warning: this feature story contains major spoilers of season one of Mr. Robot.) From the first minute of USA's critically-acclaimed hit series Mr. Robot, it's clear why it has become such a huge success with audiences and critics alike. There is no other show on television that compares to Mr. Robot. 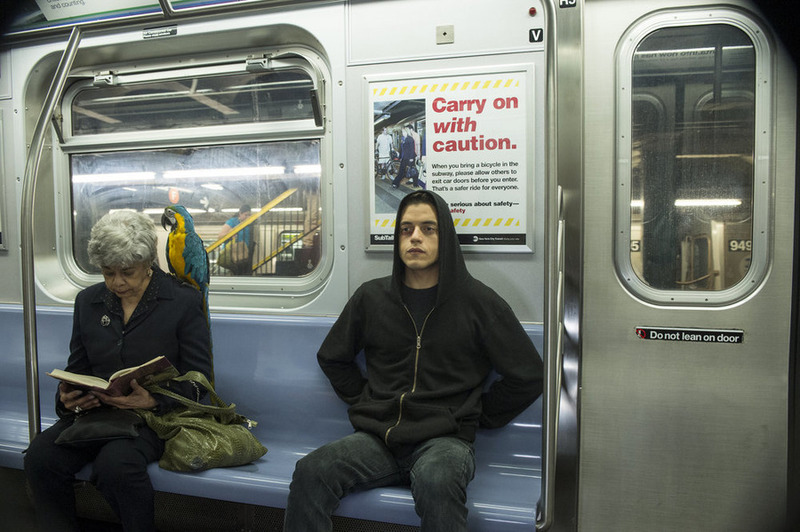 The series is told almost solely through the main character, Elliot Alderson's, perspective. However, early on in the pilot episode, Elliot is revealed to be an unreliable narrator. 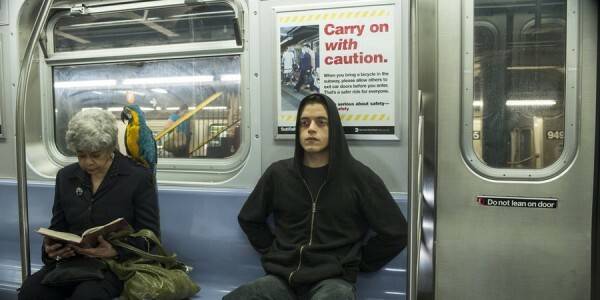 Rami Malek delivers an Emmy-worthy performance as Elliot, a socially awkward, anxious, paranoid, but brilliant, computer hacker. Mr. Robot would not work without Malek's nuanced performance. Through chilling misanthropic internal monologues and off-kilter camera angles, viewers are transported into Elliot's mind to see the world through his eyes. By breaking the fourth wall and having Elliot look directly into the camera and refer to the viewer as his imaginary friend, the tone of the show is established as a psychological thriller that forces viewers to question what is real and what is in Elliot's head. [caption id="attachment_74282" align="aligncenter" width="600"] MR. 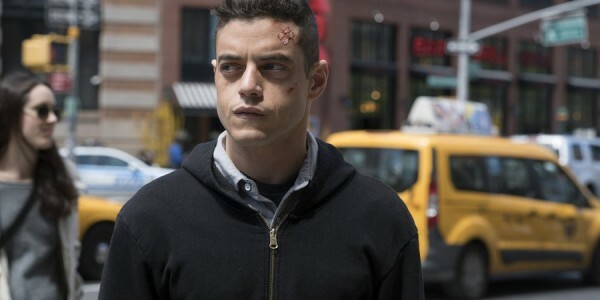 ROBOT -- "d3bug.mkv" Episode 103 -- Pictured: Rami Malek as Elliot -- (Photo by: Virginia Sherwood/USA Network)[/caption] As a first-time showrunner, Sam Esmail has created an intriguing and unpredictable series and a main character the likes of which has no parallel on television. The series is grounded in real-world references and computer terminology that is true to life, keeping the show authentic and realistic. From the cinematography to the sound effects and set designs, every detail on the show has clear intent and purpose. Even the show's title has more meaning than initially revealed. Just who is "Mr. Robot," and what does the show title actually mean? For a series with such complex layers and depth, the title of Mr. Robot naturally has multiple meanings. This piece serves to explore those meanings and provide insight into and analysis of the best show of the year. Robot: The word "robot" was invented by the Czech novelist, playwright, and journalist Karel Čapek for his 1920 play R.U.R. (Rossum's Universal Robots). Čapek drew inspiration from the old Church Slavonic word "robota," which means "servitude," "forced labor," or "drudgery." On Mr. Robot, Elliot has a cynical outlook on this current Internet-dominated era. He sees the way that society uses people like cogs in a machine (and in a revealing quote during an internal monologue, Elliot says "f*** society"). In Elliot's outlook on the human condition, there's the top one percent of the one percent, "a powerful group of people out there that are secretly running the world." Then there's the consumer masses who "voted for this. Not with our rigged elections but with our things, our property, our money." In one scene, Christian Slater's mysterious character Mr. Robot asks Elliot if he's a one or a zero, referring to binary, a computing language that uses ones and zeroes to encode data. [caption id="attachment_74284" align="aligncenter" width="600"] MR. ROBOT -- "m1rr0r1ng.qt" Episode 109 -- Pictured: (l-r) Rami Malek as Elliot Alderson, Christian Slater as Mr. Robot -- (Photo by: Virginia Sherwood/USA Network)[/caption] The leader of F Society: In the pilot episode of Mr. Robot, as Elliot is riding the New York City subway, he's greeted by a disheveled-looking fellow subway rider played by Christian Slater. Throughout the pilot episode, Christian Slater's character never reveals his real name. His only identifier is the embroidered patch on his jacket that says "Mr. Robot, computer repair with a smile!" in a font intentionally similar to the episodes' title cards. Christian Slater's anarchist character wants to recruit Elliot to join his group of hackers called F Society, the same hackers who successfully attacked E Corp, a multinational conglomerate that Elliot likes to refer to as Evil Corp. Elliot just so happens to work as a cybersecurity engineer for All Safe, which provides services to Evil Corp. Elliot's computer hacking skills: Elliot has an easier time understanding other people by hacking into their virtual lives. He understands computers and technology more than actual people. Elliot uses his amazing, almost superhuman hacking ability to find out more about his boss, his coworkers, his friends, and even his psychologist. He's also remarkably able to juggle two seemingly competing and contradictory careers: his work as a cybersecurity engineer for All Safe, and as a hacktivist for F Society. Throughout the course of the season, Elliot masterfully covers his tracks and never incriminates himself. Elliot's mental illness: Elliot's social anxiety, awkwardness, paranoia, and hallucinations cause him to struggle to communicate and interact with people IRL (in real life). During conversations IRL, it's common for Elliot to be extremely quiet, have long awkward pauses, and be fearful of getting hugged and giving handshakes. Elliot really wants to be normal and he wants to fit in, but his inability to relate to people IRL causes him to have nervous breakdowns, crying his eyes out all alone in his apartment. He feels alienated and isolated. But his mental health is even worse than that. 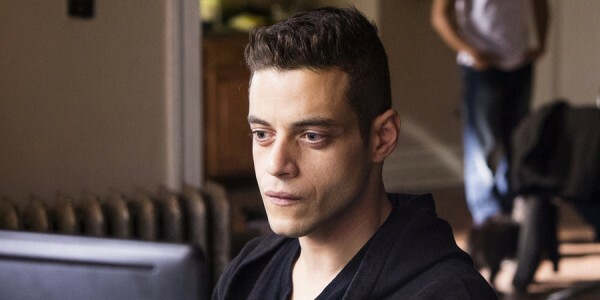 Elliot's alter ego: In an interview with Sam Esmail published yesterday on Variety, Esmail revealed that "the show is about a guy discovering in fact that he has dissociative identity disorder, and we're with him as he's discovering that." Dissociative identity disorder is the presence of two or more distinct personality states that each have a unique name, personal history, and characteristics. Some of the symptoms might sound familiar to fans of the show: altered consciousness, anxiety, depression, flashbacks, impulsiveness, self-destructive behavior, self-harm, feeling detached from the self, mood swings, and amnesia or blackouts. Dissociative identity disorder is a severe form of dissociation, which creates a lack of connection in someone's thoughts, memories, feelings, actions, or sense of identity. Elliot's second personality is his hallucinatory creation, Mr. Robot. [caption id="attachment_74283" align="aligncenter" width="600"] MR. ROBOT -- "wh1ter0se.m4v" Episode 108 -- Pictured: Rami Malek as Elliot Alderson -- (Photo by: David Giesbrecht/USA Network)[/caption] Edward Alderson's computer supply store: It's revealed later on in the season that fellow F Society hacker Darlene (played by Carly Chaikin) is actually Elliot's sister and that the two of them created F Society together. In a twist that many observant viewers might have seen coming, Christian Slater's character reveals that he is Elliot and Darlene's deceased father, Edward Alderson. Edward was a former employee of Evil Corp who passed away over a decade ago. A radiation leak at one of Evil Corp's power plants was responsible for Edward's leukemia and untimely death. The penultimate episode features a flashback scene that shows Edward working in his computer supply store called Mr. Robot, whose sign has the same logo and color as the show's title card. The store has shelves lined with old computer parts and is decorated with a Back to the Future poster. In the flashback, Edward's sitting at his desk wearing the same clothes and looking exactly the same as he does in the pilot episode and onward, with the same embroidered patch on his jacket featuring his store's logo. [caption id="attachment_74285" align="aligncenter" width="600"] MR. 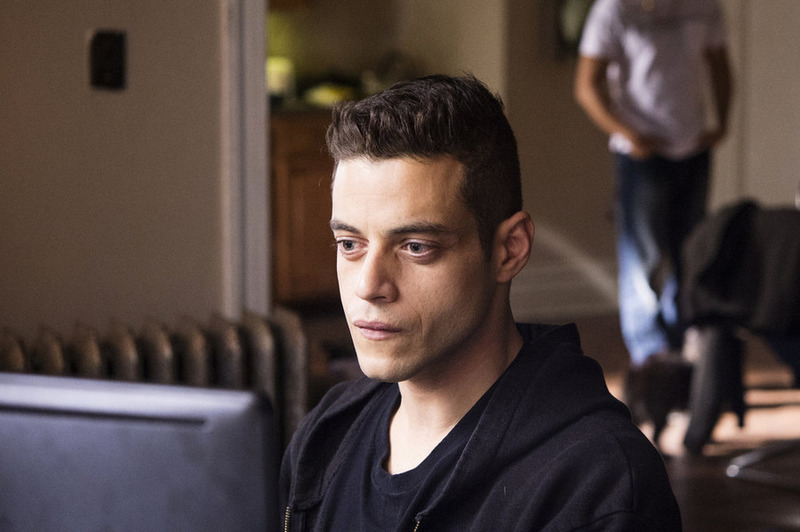 ROBOT -- "br4ve-trave1er.asf" Episode 106 -- Pictured: Rami Malek as Elliot Alderson -- (Photo by: David Giesbrecht/USA Network)[/caption] Elliot himself: This compelling show explores an even more compelling idea: what happens when a computer hacker behaves like a hacked computer? By definition, computer hacking is performed by unauthorized hackers who break into, steal, or destroy information, often by installing dangerous malware without the owner's knowledge or consent. Mr. Robot is the malware to Elliot's computer. When Elliot is taken over by Mr. Robot, he behaves like an infected computer performing a malware's instructions with no conscious control over his actions. The season finale begins after the events of the previous episode when Elliot was confronted by Tyrell Wellick (played by Swedish star Martin Wallström), a former Evil Corp employee who wants revenge on the company he deems has ruined his life. Elliot has apparently had another blackout and wakes up in Tyrell's SUV days later, with no memory of what went down on "zero day," when F Society successfully hacked Evil Corp and erased all financial debt. 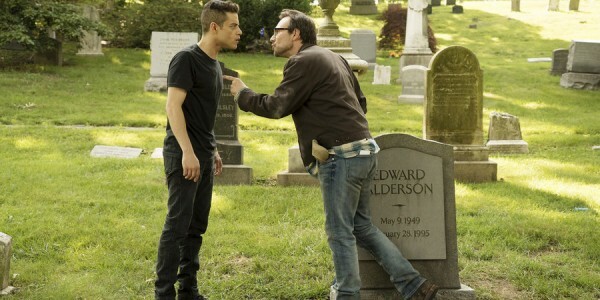 Later on in the season finale, Elliot confronts Mr. 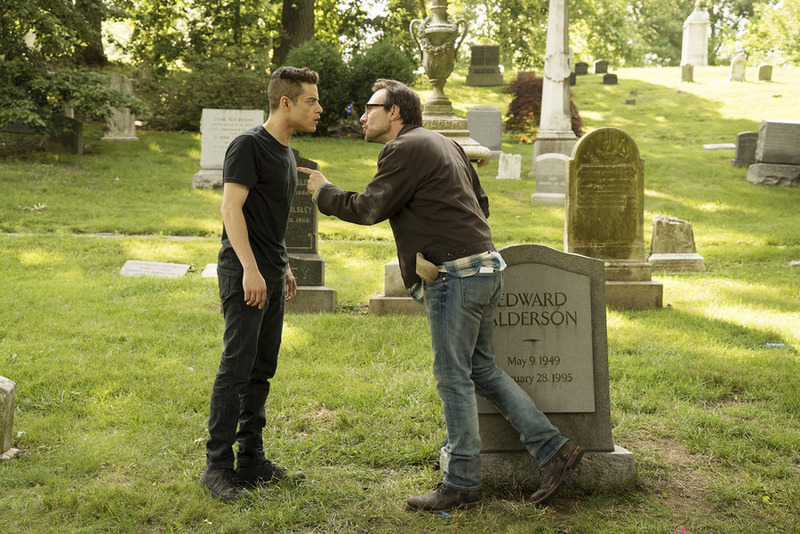 Robot and tries to find out what happened to Tyrell, but Elliot easily succumbs to Mr. Robot's will. This is apparent in one of the final scenes when Mr. 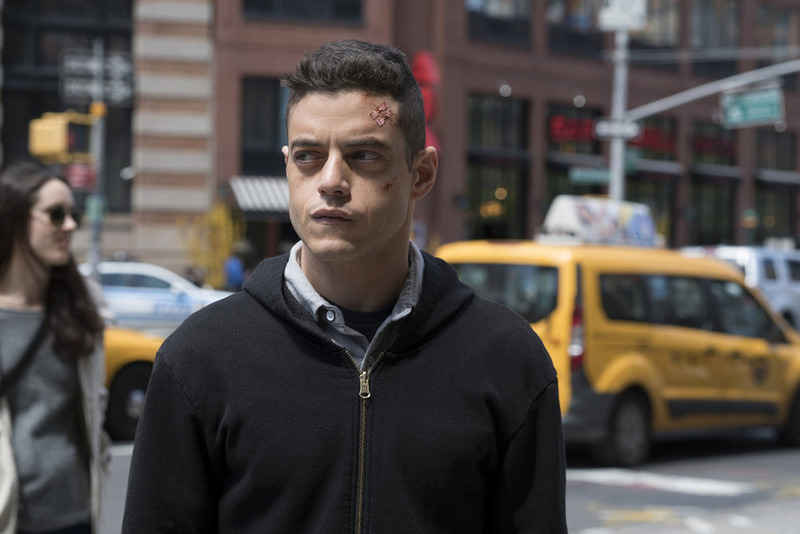 Robot gives Elliot specific instructions to go home to his apartment, sit in front of his computer, and admire what he has accomplished with F Society's successful hack on Evil Corp. Like a robot, Elliot performs these commands to a T. Going forward: In upcoming episodes, Elliot will need to confront his mental illness head-on and possibly overcome his alter ego Mr. Robot. He'll need to use some sort of "anti-virus software," maybe in the form of prescription drugs or psychological treatment, to remove the "virus" from his system. Or if the show wants to take a darker turn, Elliot might further devolve into a subservient robotic humanoid performing tasks at the will of his more powerful alter ego. At that point, Elliot would no longer be in control of anything, with no individuality remaining, becoming a real-life robotic man, a "Mr. Robot." Whichever turn the series takes, it will undoubtedly leave viewers guessing until the very end. Thankfully for fans, USA Network renewed Mr. Robot for a second season before the series premiere even aired, and the show will return next year.